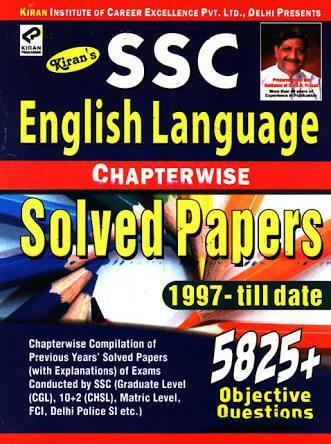 Today we are sharing Kiran SSC English Language Chapterwise solved papers 1999 - till date. These is one of the best books for ssc cgl/chsl English. This is very useful for many other competitive examinations like SSC CGL, CHSL, Delhi police CPO, FCI SBI PO/Clerk, IBPS, LIC, SIDBI etc.